Notes Side step with storage box for heavy trucks. DeeZee Side Step Box is designed to provide handy storage space. 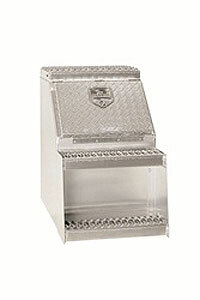 It secures footing and features a fully welded construction. This box facilitates easy and quick installation.